If you are a teacher preparing students for the Cambridge English exams, you can find valuable information, materials and support at the Exams Madrid teacher development sessions. They are led by experienced and knowledgeable trainers, who have all been appointed by Cambridge English. xams Madrid will offer frequent teacher training sessions and events throughout the year. Our topics are carefully chosen, based on our experience in the EFL field and the feedback we receive from teachers. Our presenters are well qualified professionals with many years of experience in training teachers for Cambridge English Exams. Video of the 5th Annual ELT Conference which took place on 18th November 2017 at the ESADEFORUM, Barcelona. Cambridge English offers a wide range of free teaching resources and information to support ESOL teachers throughout the world. You can register for a free account to download lesson plans, worksheets, games, classroom activities and join the lively teacher community. The Cambridge English webinars for teachers are free to join and led by a team of experts from Cambridge English Language Assessment. These experts will also be available to answer participants’ questions. Schools, academies and teachers can sign up here for the Exams Madrid monthly newsletter. Receiving our newsletter will keep you up-to-date on our seminar and teacher development programme as well as updates and changes taking place in the world of Cambridge English Exams and English language teaching. Cambridge Assessment English offers a wide range of internationally recognised English language qualifications including specialised examinations in business English and English for young learners as well as certificates for language teachers. Around the world, thousands of universities, employers and government ministries rely on Cambridge English certificates as proof of English language ability. State, private or grant assisted schools. 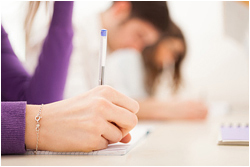 If you are preparing state university students for Cambridge English exams. The group performance reports for preparation centres are an excellent reporting tool that will enable registered preparation centres to see how their students performed by skill, by grade, by Cambridge English Scale score, etc. and to compare performance by year and against national and global averages. Our centre has been issuing candidate results statistics to its registered Preparation Centres for many years. Having access to their statistics has enabled our centres to analyse and compare their candidate results at the end of each school year. Because we are aware of the relevance of providing statistics to centres we decided to share this idea with Cambridge English; the result is the new, centralised performance results that Preparation Centres will now be able to use. The performance reports are fully integrated into the Preparation Centre Online Results Service and can be viewed by registered Preparation Centres. The reports will help preparation centres gain a better understanding of how their students are performing and progressing over time and in relation to national and global averages. They will also be able to identify strengths and weaknesses across the skills, which will help to inform future teaching. 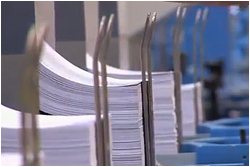 Results may be consulted online or exported as documents. The reports are available for all Cambridge English certificates, from Starters to Proficiency and Business Certificates. Tracking their students’ progress will enable schools, academies and teachers to monitor results more effectively. All Cambridge English exams are specifically designed to be fair to all test takers, whatever their age, gender, nationality, first language, culture or ethnic background. Reliability – the extent to which test results are consistent, accurate and, therefore, dependable. The Handbooks for Teachers are a valuable guide to help you prepare your students for the Cambridge English examinations. 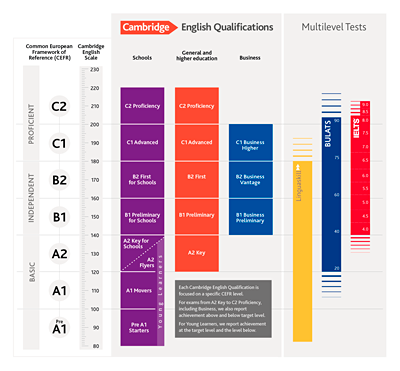 They give an overview of each exam and its place within Cambridge English. They focus on each component and include content, advice on preparation and sample papers. The webinars cover the full range of Cambridge English exams, teaching qualifications such as CELTA and the Teaching Knowledge Test, providing valuable information about individual exams, their tasks and format as well as details about how each exam is assessed and what the implications are for teachers. 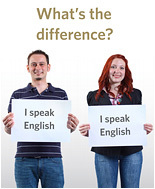 The Cambridge English webinars are normally held on a Monday afternoon and Wednesday morning (UK time). As an English language teacher, you can now get high-quality professional development from the experts at Cambridge Assessment English. The Digital Teacher has been developed by experts in the field, in consultation with practising language teachers and trainers. It forms the basis for the organisation of this site and provides a focused and principled guide to professional development. We are delighted that your students have done so well in their recent Cambridge English exams. Certificate ceremonies are a great opportunity for you to share your students' success with their parents and to publicly recognise your teachers' efforts. You can also use these ceremonies to attract positive attention from the local media. 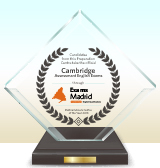 For this purpose, Exams Madrid and Cambridge Assessment English have developed a Certificate ceremony toolkit which you can download below. Share the news of your awards ceremony! To make the very most of your awards ceremony, you could write a short news item for your school website, social media pages or newsletter. You could also send this to your local media. Make sure you let us know about any news items you publish or stories that appear in the local media about your students' success and we will share it on our social media channels and with Cambridge English.